Filing for bankruptcy can be a breath of fresh air for people who have been facing serious financial crisis and the significant stress that comes with it. Despite the fact, however, that bankruptcy can discharge a number of people’s debts and grant them the financial fresh start they need, there will be some impacts to these people’s credit, and the credit implications of having filed for bankruptcy can last for some time. 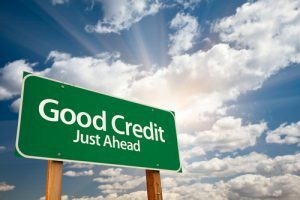 When borrowers are ready to start improving their credit after bankruptcy, here are some things they can do. For help with a bankruptcy case, contact us today. The good news is, however, that people who have filed for bankruptcy can immediately start taking some specific steps in order to slowly improve their credit. In fact, when people are diligent about following the tips discussed in this three-part blog, they can shake off the credit impacts of bankruptcy sooner than they may realize. Step 1: Create a monthly budget to live by. Determine whether they have any remaining “disposable” income. When people have disposable income left over, making choices like investing a significant amount of this into savings or retirement accounts or using it to pay off more debt are better financial decisions then using this extra money for nonessential purchases (like, for instance, new shoes). Step 2: Focus on paying off any remaining debt you have. Some types of tax debts. If you have any of these types of debt remaining after filing for bankruptcy, focusing on paying off this outstanding debt will be key to improving your credit and your financial standing in general. Stay posted for the additional installments of this blog to come! Since 1979, Mr. Lindquist-Kleissler and the other legal professionals at Lindquist-Kleissler & Company, LLC have been providing both individuals and businesses with the highest quality of legal services when it comes to debt relief and bankruptcy. From simple to complex bankruptcy cases, Mr. Lindquist-Kleissler can always be trusted to maximize utilization of Colorado Bankruptcy Law to effectively guide his clients through bankruptcy and help them achieve the best possible outcomes to their cases. Let’s talk about the best options for debt relief for you. Set up a free 30-minute consult by calling (303) 691-9774 or by emailing us using the form on this page. You will pay nothing up front to obtain trusted, professional advice regarding your case and your options.